Big Brother and Little Sister had a blast making these winter painting snow crafts! Head on over to the Gummy Lump Toys blog to see the other ones we made and to get the puffy paint recipe – it’s super easy to make! 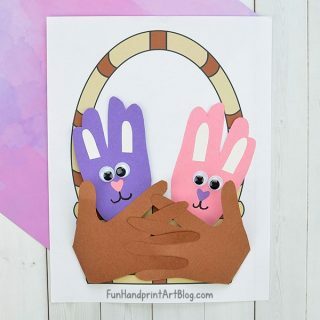 Trace and cut the hand + arm on brown construction paper. 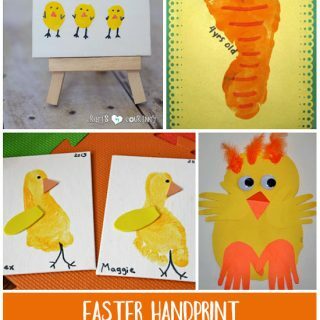 Have the child glue it to a sheet of colored construction paper. Have them use the puffy paint to paint snow on the ground. We also made snowflakes falling by making fingerprints. Add stickers of animals that can be found in the snow or have them draw pictures. Use the puffy paint to paint both foot. 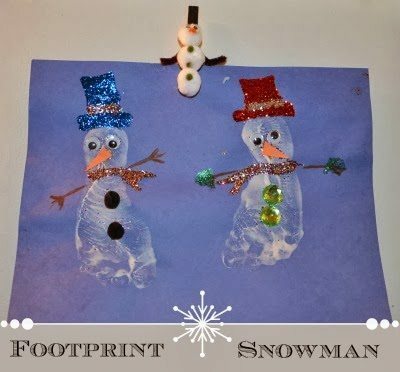 Make footprints on colored construction paper. 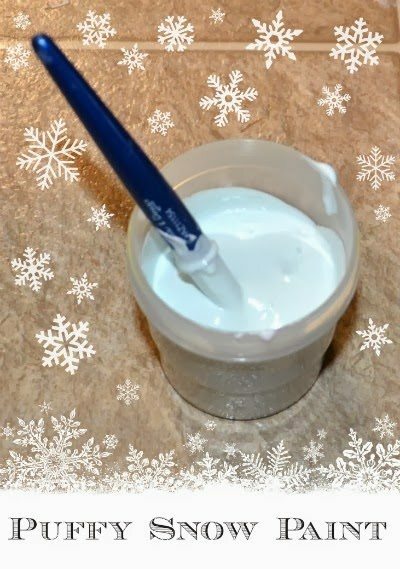 Use glue to make hats and scarves. Sprinkle on glitter. Add buttons or jewel gems. Glue on googly eyes and a carrot nose. 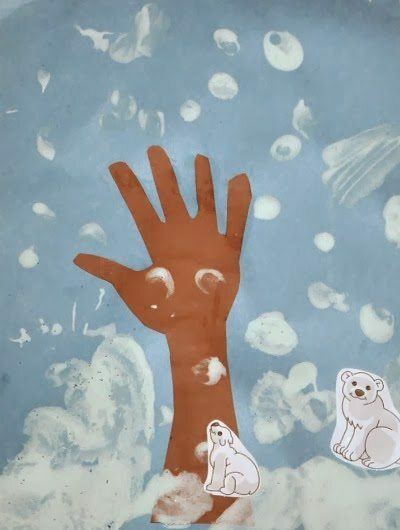 You can also use the puffy paint to make polar bears with handprints!